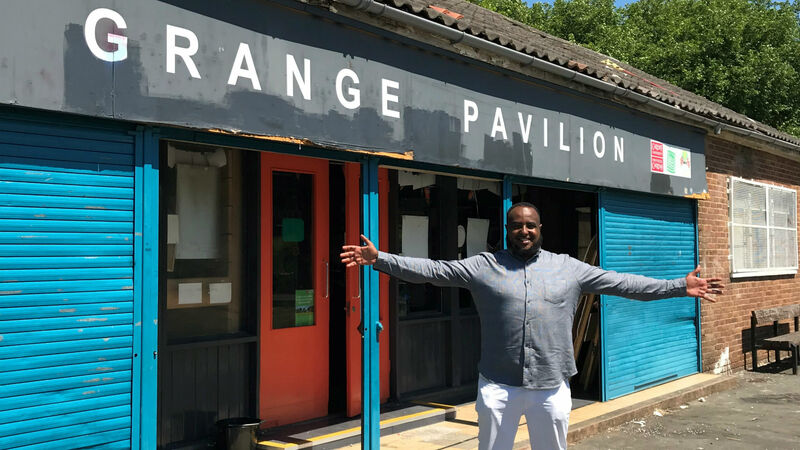 Ali Abdi is Partnerships and Facilities Manager at Cardiff University and a lifelong resident of the Cardiff suburb of Grangetown. I grew up in Grangetown and I’m passionate about making it an even better place to live. Cardiff University shares that vision. Nowhere is that more apparent than at the Grange Pavilion. For a long while, it was only used by the Bowls Club – 15 people who came in white suits to play bowls and locked the gate on their way out. The fences were six foot high. When the club disbanded, the building became derelict, and local residents became concerned. The first thing we did was to ask “what does the community want?” and they said “we want this space to be bigger, better, and brighter” – and now it’s being completely overhauled. The University have spruced the place up and made it accessible to the community seven days a week. Cardiff’s architecture students have been speaking to different stakeholders as part of their live teaching, developing designs and putting the community at the heart of their plans. We’re going to extend and open a cafe with a fully functional kitchen where community groups can come and learn to cook for each other. It’s a fantastic experience; many students stay involved even after they graduate! But bricks and mortar are just part of the project. Cardiff University is developing partnerships with local schools to enrich teaching and help young people to aspire to higher education. Amongst other events, we recently held a Careers Week with different University schools; Law was here, Geography, Earth Science, Business, Medicine. There was even a miniature Open Day right here at the Pavilion. Every young person we spoke to now wants to study at Cardiff. There’s so much potential in our communities. Cardiff’s flagship engagement programmes are the most ambitious of their kind, utilising research and specialist skills to support places like Grangetown, and across Wales. With that sort of commitment, I think the future is really bright!